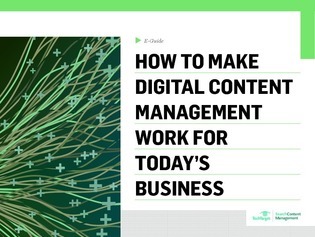 Content management strategy is changing quickly. Sure, some businesses can still get by with a paper-first model – but that method is going the way of the dinosaur. In this expert guide, explore 6 strategies from an IT consultant on how to make enterprise content relevant and useful for millennial workers, and receive Don Fluckinger’s analysis of how companies commingle physical and digital content.